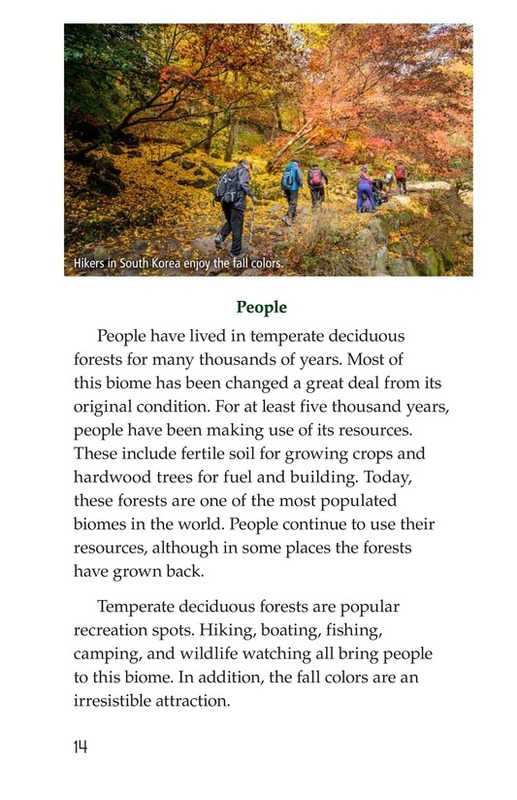 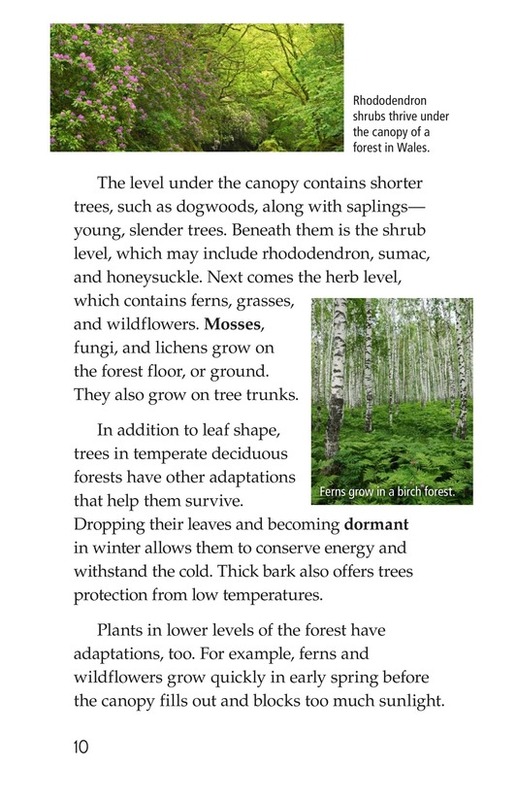 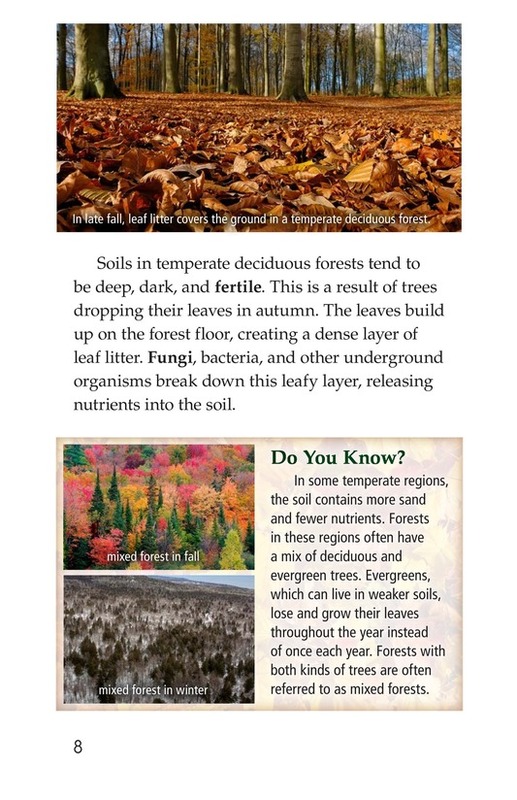 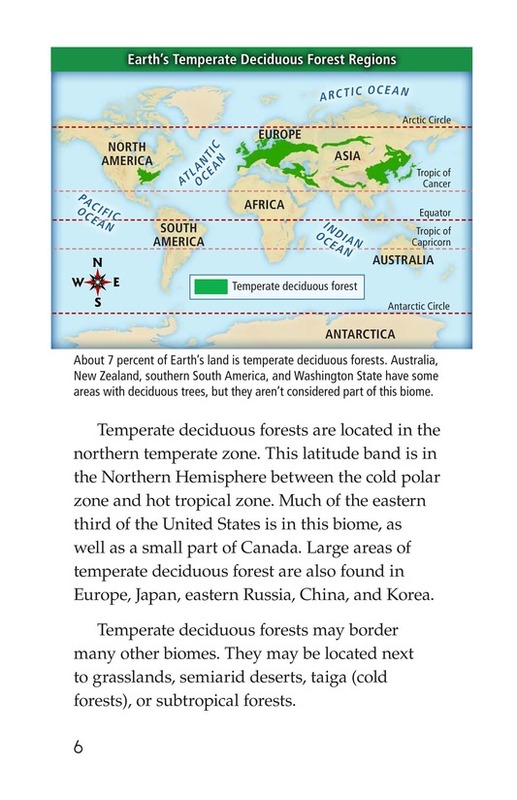 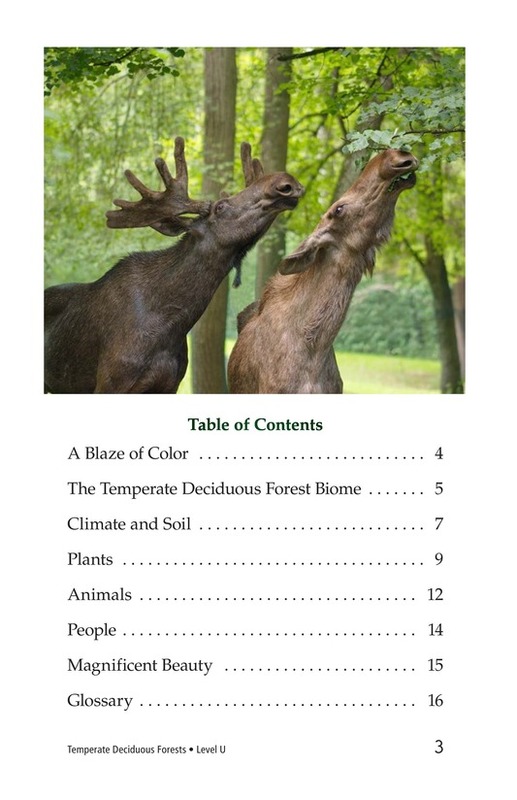 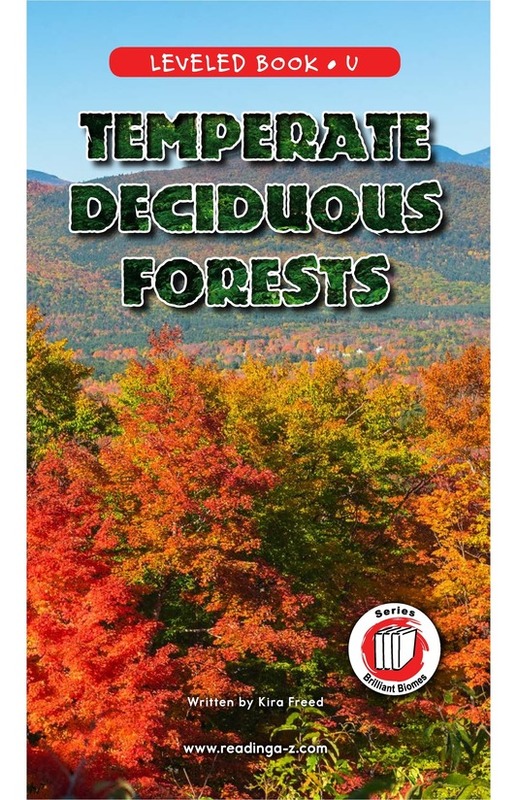 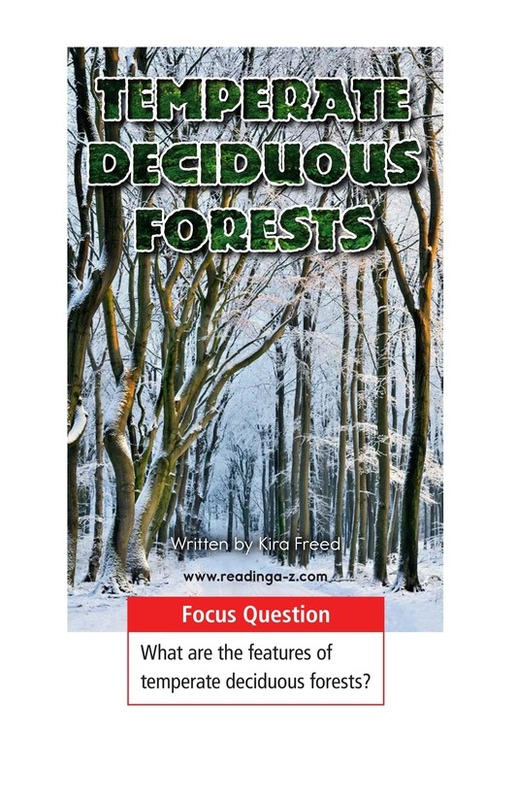 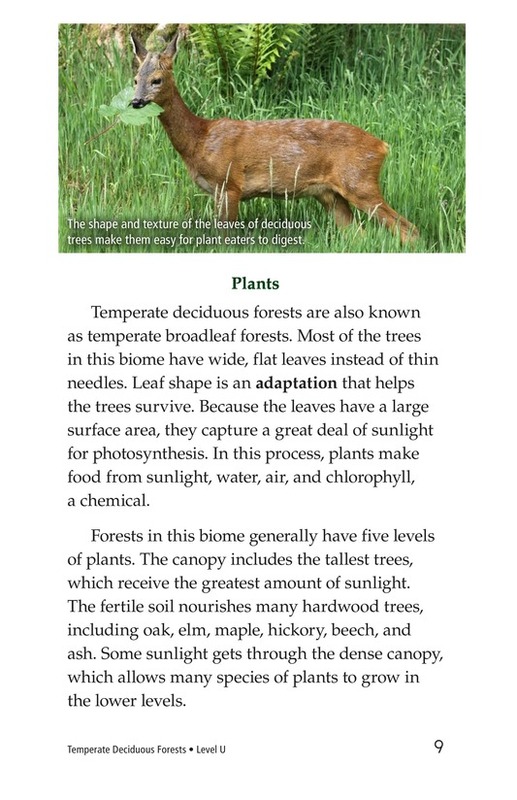 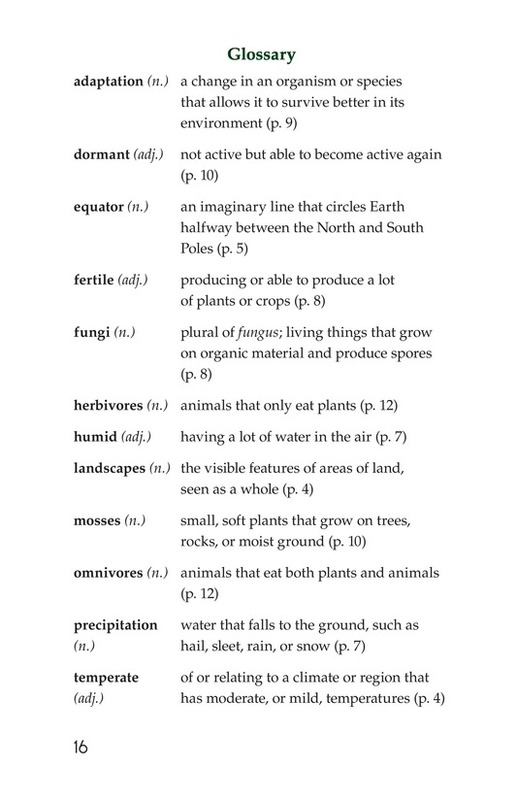 Temperate Deciduous Forests is an informational book about the biome in the Northern Hemisphere where deciduous trees grow. 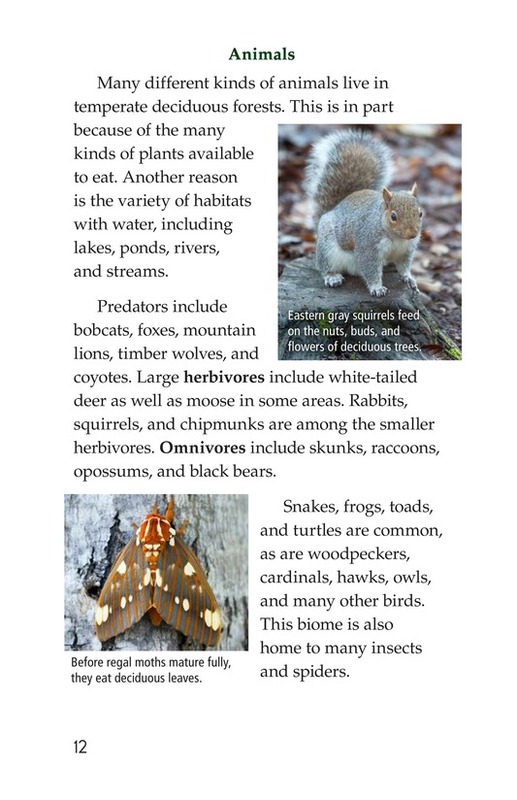 Readers will learn about the unique landscapes that can be found in the area, as well as the plants and animals that live there. 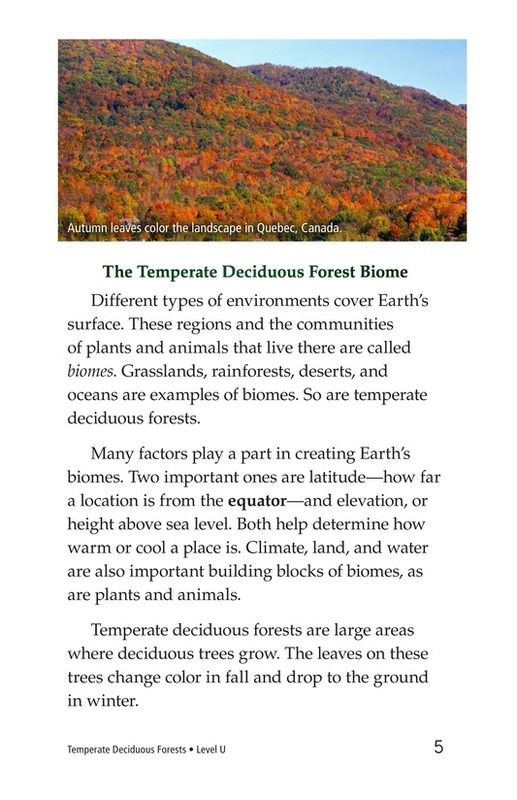 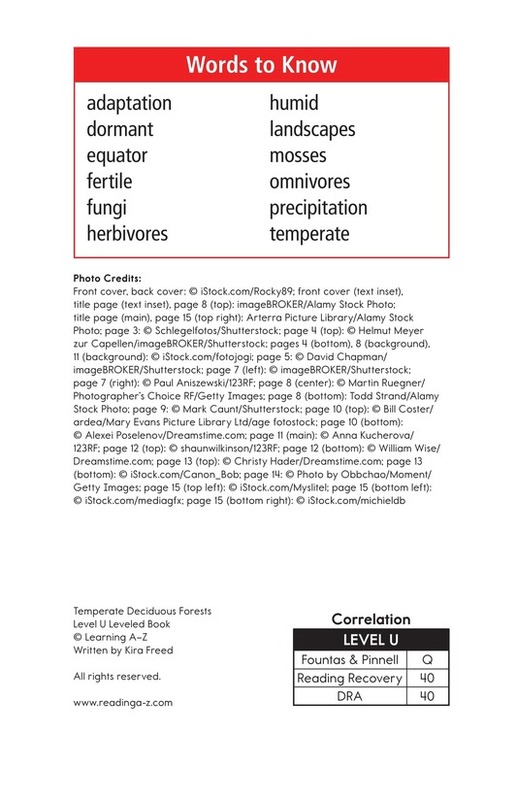 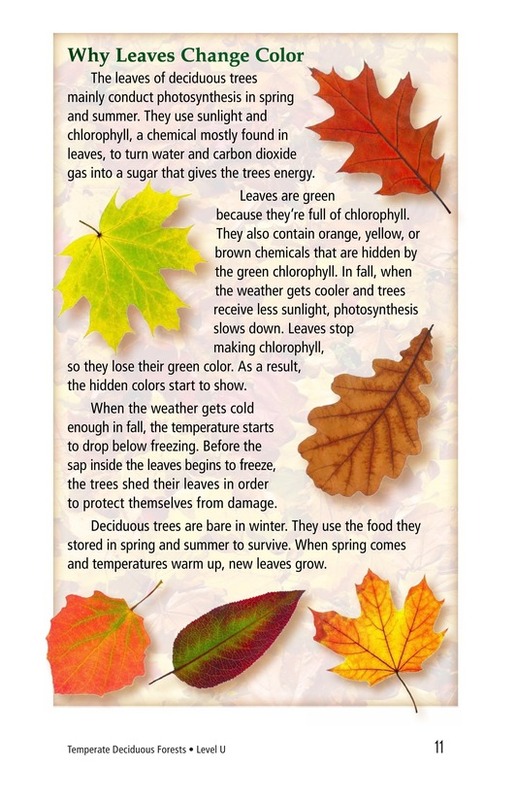 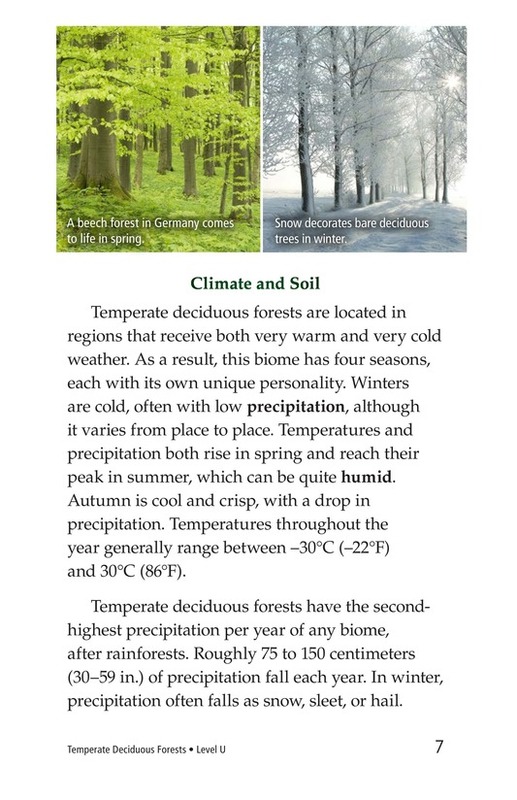 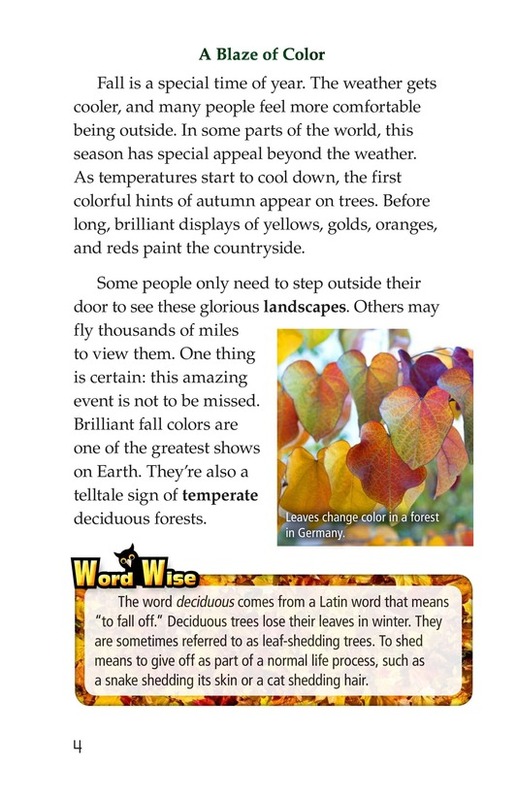 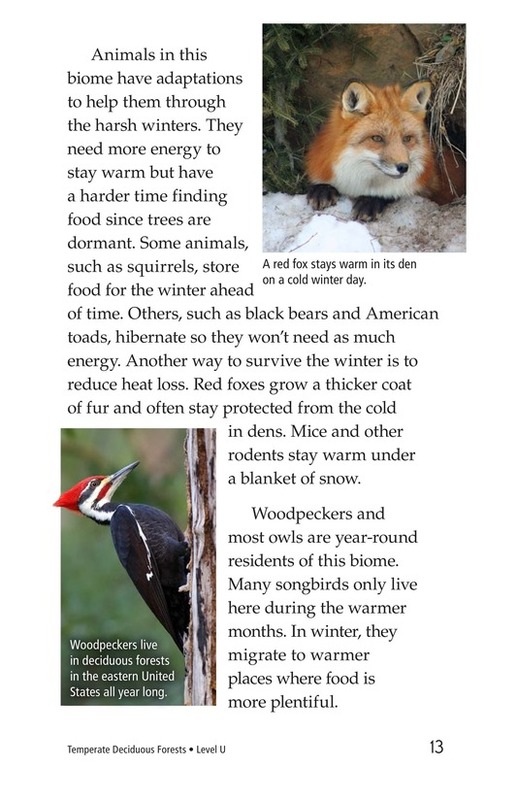 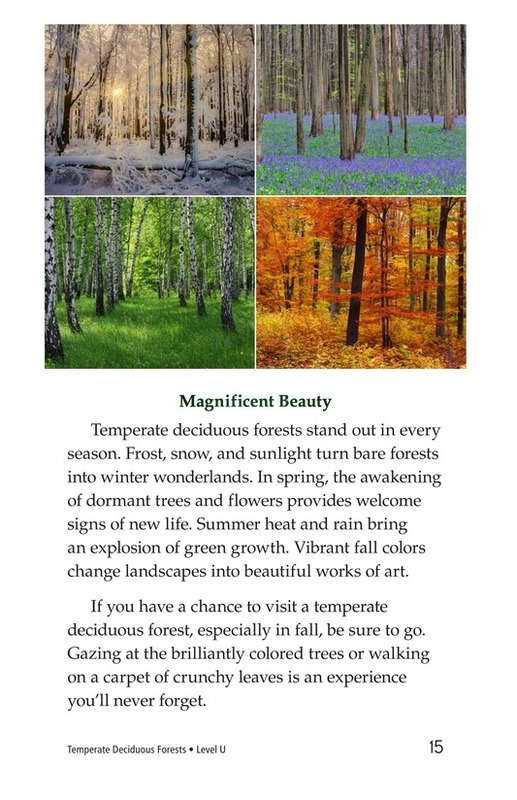 This book also provides students a look at the four distinct seasons in this biome. 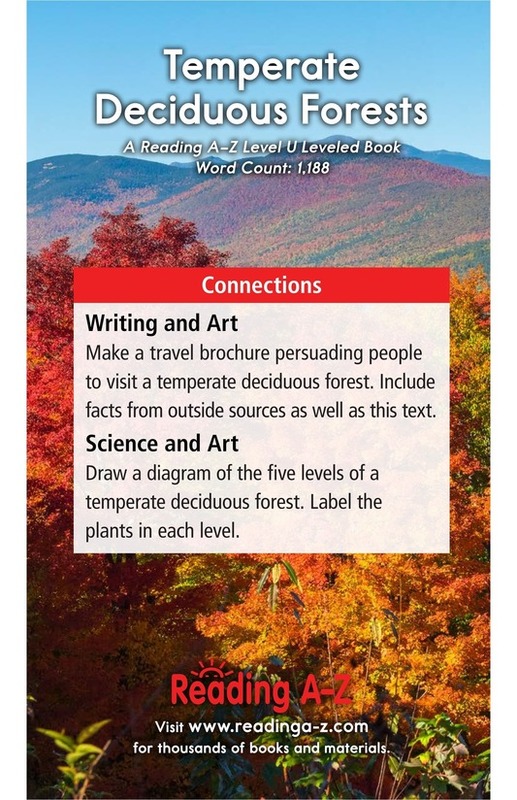 The book can also be used to teach students how to understand cause-and-effect relationships and the proper use of adjectives.